It’s pretty exciting to see the latest innovation with UTVs, to kick start 2018 Polaris unveiled the all new Polaris RZR RS1. We got the chance to check out the new single seat RZR at the 2018 King of the Hammers, Polaris brought a fleet of new machines offering demo rides to attendees. Yes single seat, but it’s much different than the Polaris ACE platform. 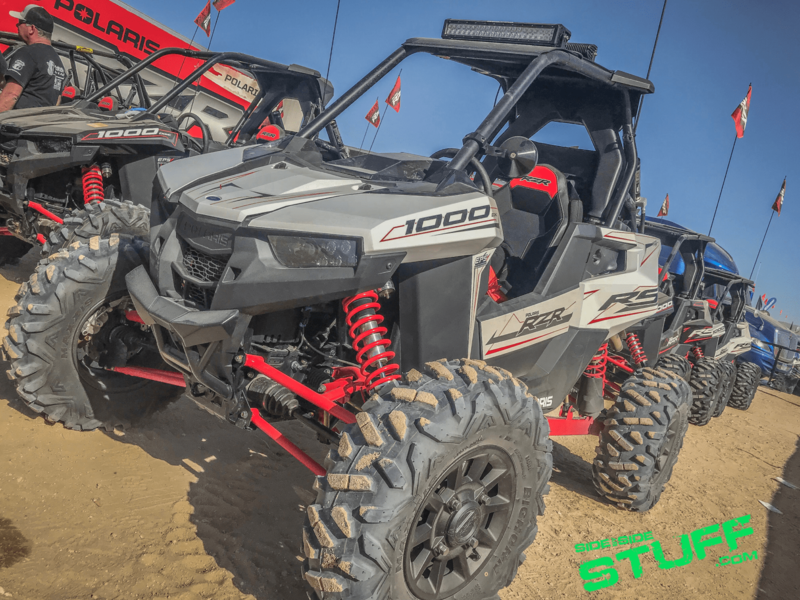 Unlike any SxS on the market, the RS1 is 64” wide, single seat machine with an 83” stance utilizing the same suspension of the RZR XP 1000 with an upgraded drivetrain. It’s powered by a 110 HP ProStar 1000 H.O. engine and features a rear mounted, dual-fan radiator for maximum engine cooling. Its center-cockpit allows you to have more involvement in seeing the tires and gives you better visibility to sight the upcoming terrain; not to mention increased balance and feel within the chassis. The machine is also set up with a new brake system; the new system gives you the option to brake with a two-foot performance rally style of driving or a traditional single-foot action. As excited as we are about the new RZR RS1, we’re even more excited for the aftermarket parts and accessories for this machine. Polaris has designed this machine with many mounting points making it ready for bolt on products. Aftermarket accessories are a great way to give your rig a custom look as well as personalize it to tailor to your needs. As this new sport machine hits the market, aftermarket parts will soon follow. Side By Side Stuff has you covered, on our website you’ll find a variety of accessories including windshields, mirrors, safety harnesses, wheels, tires, audio and more from a variety of your favorite brands. 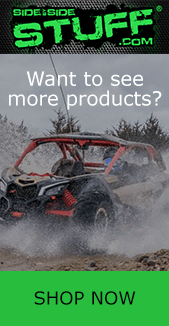 Browse our Polaris RZR RS1 parts selection at Side By Side Stuff today and stay tuned for more RS1 accessories to come.